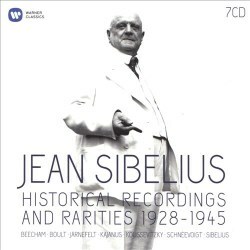 In the 1930s the Columbia Gramophone Company (later EMI) undertook a subscription series of the major works of Jean Sibelius, initially funded by the Finnish government. This is the first time that all the orchestral recordings made for EMI Classics' Sibelius project between 1930 and 1940 have been gathered together (six CDs in all). Warner has added a seventh CD devoted to chamber music and songs. The most important recordings, those of the symphonies and tone poems from Kajanus, Schnéevoigt and Beecham, have been available before and are mostly still available on other labels. The seven CDs are in cardboard sleeves, each with the work listings, timings and recording data printed on the back. There is a multi-lingual booklet with a four-page essay by Robert Layton, but no texts or translations for Luonnotar or the five songs. The box is inexpensive, the transfers are successful, and the performances are still among the most important of any. Robert Kajanus was hardly less significant than Sibelius himself in the creation of the Finnish orchestral tradition that has led to a succession of fine conductors coming from Finland ever since. Kajanus founded the Helsinki Philharmonic and led them for fifty years, was a close friend of Sibelius and his personal choice for the recording of these works. He set down these definitive versions of symphonies 1, 2, 3 and 5, the outer movements from the Karelia Suite, Pohjola’s Daughter, Belshazzar’s Feast and Tapiola. He died in 1933 and other conductors took up the baton for the EMI series, but these are still among the best of all the versions of these particular works. From the opening clarinet solo of the First Symphony to the final chord of Tapiola, his conducting exudes idiomatic authority. The symphonies have an impetus which has become rare, transitions — so crucial in these works — which sound inevitable because almost imperceptible, and a feeling of nobility - especially in No.5 - that has formed our image of the composer ever since. Kajanus at some points uses more rubato than we hear now, in keeping with the conducting style of the day. He also tends still to be among the swiftest on disc, even after so many subsequent rivals have had the chance to learn from him. Osmo Vänskä, when asked in an interview about his own swift tempi for the First Symphony, said of the finale “It’s crotchet = 104, but no one takes it that fast apart from Kajanus … Sibelius lived long enough to have changed his mind if he felt it was wrong.” As for the Fifth Symphony, I don’t know a modern version which gets it under the half hour as Kajanus does, but Saraste’s and Vänskä’s four versions get close. The point is that despite these Kajanus timings, the works never sound rushed, despite occasional evidence that the players in the 1930s found them a challenge. The tone poems have the same dramatic qualities, Pohjola’s Daughter is treated with great narrative flair, and Tapiola is a terrifying evocation of the forest god - don’t listen to it on an iPod when walking in the woods. Following that on disc 3 we have three more short works in the hands of the then newly formed BBC Symphony Orchestra and the young Dr. Adrian Boult, who played a lot of Sibelius together at the time. They offer in particular an impressive account of the still rather neglected Night Ride and Sunrise. The Fourth Symphony is in the hands of Beecham and the LPO, a famous recording for which Beecham and producer Walter Legge consulted the composer on various points, including the sanction of a glockenspiel rather than tubular bells in the finale - where the score’s “Glocken.” is ambiguous. Sibelius was more than happy with the result, perhaps because Beecham never saw the work as austere but rather as deeply romantic. Certainly it is very expressive throughout and especially in the haunting slow movement. Haunting is the word too for the enigmatic and most elusive of all the tone poems, The Bard. The suites of incidental music from The Tempest and Pelléas et Mélisande remind us both what a fine theatre composer Sibelius was, and that Beecham was a notable theatre conductor. Beecham recordings also fill disc 6, not least with a stirring En Saga. The main work there though is the Violin Concerto with Heifetz, a benchmark recording for its dazzling virtuosity and romantic flair. Some have felt it lacks mystery in the more introspective moments and prefer Heifetz’s stereo remake in Chicago for that reason, but this is the recording that really established the popularity of the work, and you can hear why. Sibelius never gave permission for the live performance of Luonnotar that opens disc 5 to be issued. Perhaps he disliked the very broad phrasing by the soprano of the opening lines, which rather impedes progress. If her very taxing part is not always quite securely sung, the voice is imposing and well caught, and the feeling, once past those opening phrases, has all the strangeness this Kalevala creation myth requires. This is with the Helsinki Philharmonic under Georg Schnéevoigt, Kajanus’s successor, who also conducts the Sixth Symphony with as much dedication as his predecessor brought to the earlier symphonies. The playing reveals the standards the Helsinki Orchestra had achieved. Then it is back to the BBC Symphony and the legendary pioneering recording of the Seventh Symphony under Serge Koussevitsky, which in the view of those who know it has never been surpassed. It is a live performance of riveting intensity, as well as a reminder that along with the US and the UK, Sibelius’s strongest overseas performance tradition has been among Russians – Mravinsky and Rozhdestvensky also recorded outstanding interpretations of the Seventh. The last disc is of non-orchestral repertoire, mostly a group of delightful miniatures for violin and piano along with five of the composer’s many songs. These all have the slight air of period pieces — in the way the big orchestral works do not — and one can imagine hearing them in a soirée at Ainola, the Sibelius family’s rural home, perhaps with the composer at the piano. The most significant item here by far is a 1933 recording of Sibelius’s only mature string quartet, Voces intimae. Providing those ‘intimate voices’ is the Budapest Quartet (Bibbulph LAB098), in a very persuasive performance of a work that needs real understanding to come across well. They are very observant of the score and cited as a touchstone in the essay on Sibelius on record in the Cambridge Companion to Sibelius (2004). Most of the essential orchestral recordings are also available on Naxos in excellent transfers by Mark Obert-Thorn (8.111393; 8.111394; 8.111395), but this Warner box is very generous in scope, and also has very good transfers that sound full and surprisingly detailed. There is one more significant item here – the gorgeous Andante Festivo, in the only example we have of Sibelius conducting. Allowances have to be made for 1930s sound and there is some distortion in the loudest moments, but the performances are often so absorbing it is easy enough to adjust. The Sibelius anniversary year will doubtless produce more glamorous and more lauded issues than this one, but none more revealing or more essential. Many a music-lover in the 1930s and 1940s will have got to know Sibelius’s music through these versions. We have here an orchestral performing tradition in the making, at a time when the music was still new. This set allows us to hear modern music in the very process of becoming core repertoire. It is the classical record industry not only documenting the canon, but also creating it. Pelléas and Mélisande Suite, Op. 46: IV; A Spring in the Park, VIII; Entr'acte, IX; Death of Mélisande. 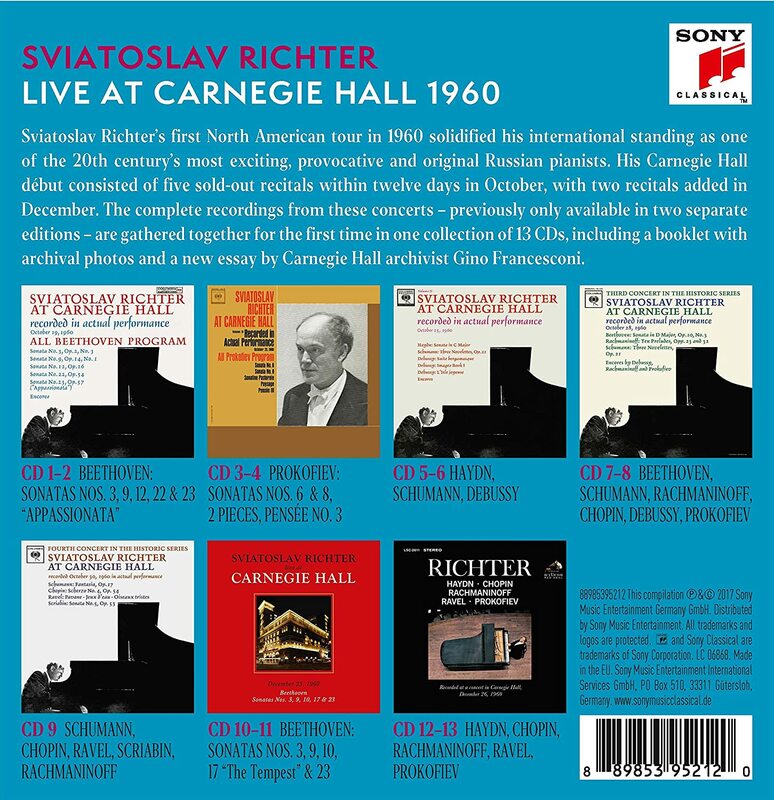 Richter was at his best in that year when he made his Carnegie Hall debut. Remarkably, Lincoln Center's Philharmonic Hall didn't open until 2 years later, so Richter had to compete with visiting orchestras and the NY Philharmonic for time to make these extraordinary appearances. What a gift to now have them available in one box! This is a rave review of the Skampa (pronounced SHKAMpa) Quartet playing Dvorak's American String Quartet & Quintet, Opp. 96 & 97. 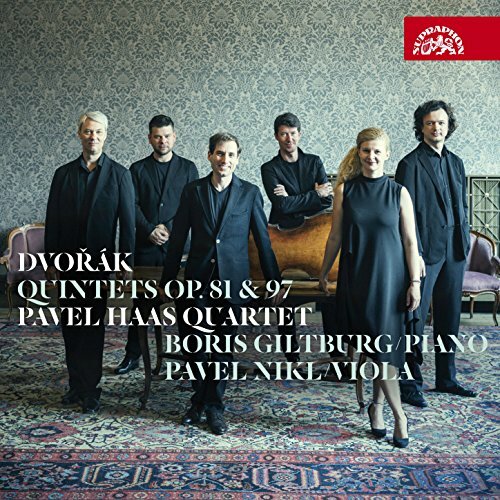 It's not quite a debut disc, but it has the energy and verve in the committed playing of the group (w/ violist Krzystof Chorzelski in the Quintet). These two pieces reflect Dvorak's American period, and the recording highlights this aspect in its open, spacious sound. The instruments are given just the right amount of air, which allows the ear to follow clearly each line of music: This is one of the most perfect recordings of chamber music I've heard in my lifetime. The playing is sensitive, committed, and never drags or rushes. The joy in these readings is highly contagious. Delightful! Five enthusiastic stars! Just arrived in the mail today, Monday, 21 MAY 2018. A 2 CD set, The Chicago Principal in which first chair CSO soloists play concerti. First off, it has four classical concerti, all conducted by Claudio Abbado--the Haydn Trumpet Concerto with Adolph Herseth, and three Mozart concerti--the oboe concerto with Ray Still, the bassoon concerto with Willard Elliot, and the Horn Concerto 3 with Dale Clevenger. Then there's the Schumann Konzertstuck in F Major for 4 horns & orch. with Dale Clevenger, Richard Oldberg, Thomas Howell, & Norman Schweikert, Daniel Barenboim conducting. 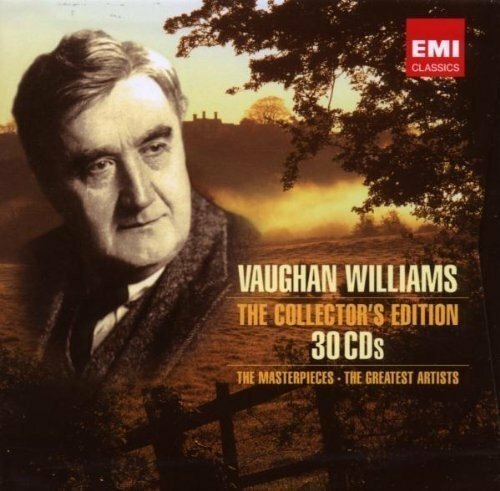 Then, three 20th century works--the Vaughan Williams Bass Tuba Concerto with Arnold Jacobs, Barenboim conducting, Britten's Serenade for Tenor, Horn, & Strings with Dale Clevenger, Robert Tear, tenor, and Carlo Maria Giulini conducting, and Ravel's Bolero conducted by Georg Solti. On my doorstep today was a box from Amazon with two issues. 1) a 2 CD hanssler set of the Mozart Piano Concerti 20, 23, 24, & 25 by Ivan Moravec, piano, with Neville Marriner and the ASMF. 2) a 22 CD Warner Classics box of performances conductd by Joseph Keilberth titled "The Telefunken Recordings (1953-63). The first three CDs and more than half of CD 4 consist of Mozart performances. In includes the Symphonies 28, 30, 35-41, the Serenata notturna, Eine kleine Nachtmusik, 2 Divertimenti, and a number of other shorter works + the last work on CD 4, the Haydn Symphony 85. CD 5 Symphony 101 + four Beethoven overtures. Cds 6-9 consist of the Beethoven Symphonies 1-8. CD 10 is Schubert's Symphonies 6 & 8 and two Mendelssohn overtures. CD 11- Schumann Symphony 1 and Grieg's 2 Peer Gynt suites. CD 14 is a potpourri--the Brahms Tragic Overture, 3 Hungarian Dances, two excerpt from Smetana's Ma Vlast, Dvorak's Carnival Overture, and 2 pieces of Johann Strauss II. Cd 15 is devoted to 12 Johann Strauss II Waltzes. CD 16 is the Dvorak Slavonic Dances. CD 17 Dvorak New World Symphony & Cello Concerto with Ludwig Hoelscher, cello. CD 18 Wagner Die Meistersinger Preludes from Acts 1 & 3 + a Bruckner 9. 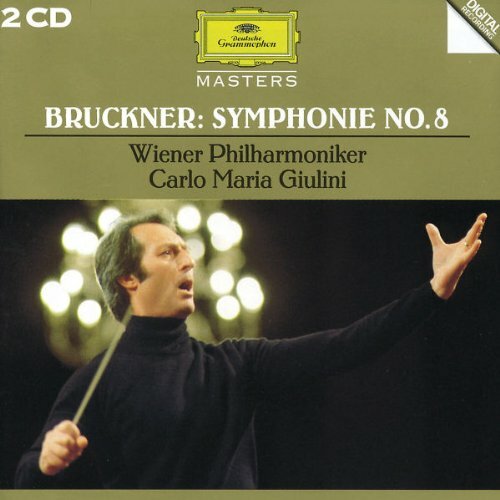 CD 19 Bruckner Symphony 6, Strauss's Till Eulenspiegel, and excerpts from Die schweigsame Frau. CD 20 Strauss Don Juan, 4 symphonic interludes from Intermezzo, 2 waltz sequences from Der Rosenkavalier, and Salome's Dance, and Wagner's Lohengrin Preludes to Acts 1 & 3. CD 21. Max Reger: Ballet Suite, Op. 130 & the Hiller Variations & Fugue. CD 22. Max Reger Variations & Fugue on a theme by Mozart, and two Hindemith works: NOblissima Visione & Symphoic Metamorphoses on themes by Weber. 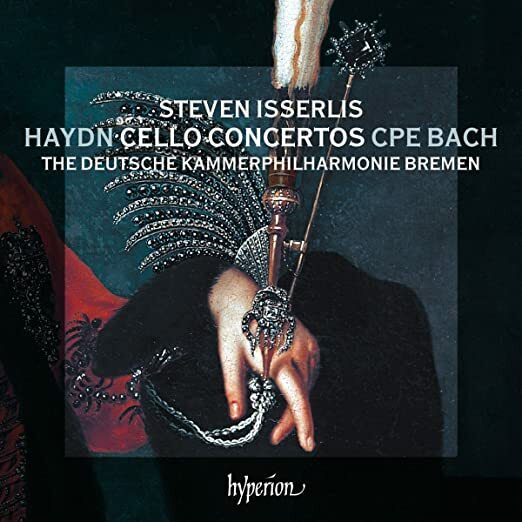 Steven Isserlis first recorded the Haydn Cello Concerti with Roger Norrington in 1998; this disc is even better. Isserlis is one of the top cellists recording today, and he reminds me of Fournier in his technical ease and warmth of tone. Both Haydn concerti are simply sublime, while the CPE Bach is a welcome newcomer to my library. I do wish he had tackled the complete Boccherini instead of just the Adagio, but that's a small quibble with this fine Hyperion release. The Deutsche Kammerphilharmonie Bremen acquit themselves admirably under their very capable and sensitive leader, Florian Donderer. Five well-earned stars! I have lived with the Firkusny version of this music for many years on Columbia/Sony, and find them to be a bit more energetic than Giltburg, who is more lyrical in his interpretation with the Pavel Haas Quartet. While more lyrical, I find Giltburg's approach more sensitive to details and highly pleasing to the ear. All participants in this new issue deserve high praise. Giltburg is a pianist to watch: A prolific studio musician, I have all his recordings either on my shelves or on my want list: he just never seems to disappoint me in his solo outings. Five stars for this one as well! The following GUILD CDs arrived on my doorstep this afternoon, 4 JUN 2018 from Presto Classical in the UK. 1) George Szell conducts Cologne RSO in a radio broadcast recording from 1958: |Tr. 1. Boris Blacher (1903-75): Music for Cleveland, Op. 53 (8'43) |Tr. 2-4. W.A. Mozart (1756-91): Piano Concerto 27 in B Flat Major, K. 595 (28'07), Robert Casadedus, piano. |Tr. 5-8. J. Brahms (1833-97): Symphony 2 in D Major, Op. 73 (36'46) |Tr. 9. I. Stravinsky (1882-1971): Fireworks, Fantasy for Orchestra (3'34). 2) Solomon plays. |Tr. 1-3. J. Brahms: Piano Concerto 1 in D Minor, Op. 15 (42'16)--Lorin Maazel, cond., RAI Turin Orch. |Tr. 4-6. Mozart: Piano Sonata in B Flat Major, K. 333 (18'18)--both rec. 1958. 3) Peter Waters, piano & Aulos Quartet, rec. MAY 2009: |Tr. 1-4. R. Schumann (1810-56): Piano Quintet in E Flat Major, Op. 44 (29'23) |Tr. 5-6. Juraj Filas (b. 1955): Piano Quintet (22'29). Juraj Filas is a contemporary Slovak composer. 4) Ivo-Jan der Werff, viola, and Simon Marlow, piano play on a CD titled "Connections." |Tr. 1. B. Britten (1913-76): Lachrymae-Reflections on a song by Dowland for viola & piano, Op. 48 (14'07) |Tr. 2-4. D. Shostakovich (1906-75): Sonata for viola & piano, Op. 147 (32'09) |Tr. 5-7. Karim Al-Zand (b. 1970): Hollows and Dells for viola & piano (12'53). Ok, that last composer was unfamiliar to me, so I looked him up. He doesn't have a Wikipedia page yet, but the liner notes here were written by the violist on this CD, and he said Al-Zand is a colleague of his on the music faculty @ Rice University, and that the work was specifically commissioned for this CD. Further checking on Google shows Al-Zand is a Canadian-American composer who got his undergraduate degree at Ashbury College in Toronto and later graduate degrees at McGill University in Toronto and Harvard. The liner notes say he was affected by the fact that both the other works on this CD were inspired by works of other composers--Dowland in the Britten and Bethoven in the Shostakovich. So he composed this piece on music that was important to him in his youth. 5-6) Handel: Messiah (140'40)--Timothy Dean, cond., The Choir & Orchestra of Pro Christie, Jennifer Smith, soprano, Helen Kucharek, soprano, Linda Finnie, mezzo-soprano, Neil Mackie, tenor, & Rodney Macann, bass-baritone, rec. UK 1986. 7) L.V. Beethoven: |Tr. 1-4. Symphony 9 in D Minor, Op. 125 (63'17) |Tr. 5. Leonore Overture III in C Minor, Op. 72a (13'58)--Fritz Busch, cond., Danish RSO (all), & Cho. (Tr. 1-4)--Kerstin Lindberg-Torlind, soprano, Else Jena, mezzo-soprano, Eric Sjoberg, tenor, Holger Byrding, bass (Tr. 1-4) Rec. 24 OCT 1949 (Tr. 5), & 7 SEP 1950 (Tr. 1-4). 8 ) Andre Cluytens conducts Schumann. |Tr. 1-4. Symphony 4 in D Minor, Op. 120 (24'30)--ORTF, rec. 1950 |Tr. 5-7. Cello Concerto in A Minor, Op. 129 (23'10)--Andre Navarra, cello, Cologne Concert Orch, rec. 1951 |Tr. 8-12. Symphony 3 in E Flat Major, Op. 97 (31'46)--Berlin Phil., rec. FEB 1957. TT: 79'39. 9) Donald Francis Tovey (1875-1940): 1-3. Piano Trio, Op. 27 (23'19)--London Piano Trio, rec. 2007. |Tr. 4-7. Sonata Eroica for solo violin, Op. 29 (24'11)--Robert Atchisnon, violin (rec. 2008) |Tr. 8-9. Piano Quartet, Op., 12 (27'04)--Oremsby Ensemble, rec. 2008. 10) D.F. Tovey: Tr. 1. Aria & Variations in B Flat Major for string quartet, Op. 11 (32'14) |Tr. 2-5. String Quartet in G Major, Op. 33 (34'56)--Tippett Quartet--rec. JUL 2009. Yes, I had to have this, too. I also have them on DOREMI. I understand Richter was NOT happy about Columbia issuing these on their label. Yes, you have some great material there. The Guild label did some remastering of older LPs from HMV and Decca; some of that material was reissued on the original labels on CD later on. I've got about 85 of the Guild label, mostly historical. I hope they are not leaving the business! One CD arrived from Amazon today, Tuesday, 5 JUN 2018. An Eloquence CD of Monteux conducting the LSO in the Sibelius 2nd, and Lorin Maazel conduting Wiener Phil. in the Karelia Suite. The Monteux in its LP London Stereo Treasury incarnation was the first Sibelius 2 I ever bought. This is a sentimental favorite, glad to have it on CD finally. 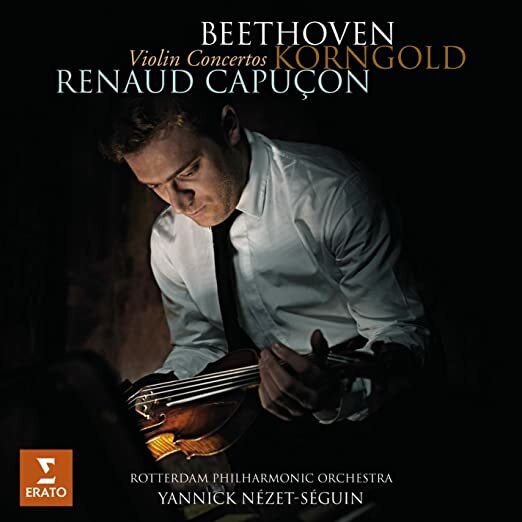 Renaud Capucon's musicianship and sheer beauty of tone are showcased here in this 2009 recording of Beethoven and Korngold, ably accompanied by Yannick Nezet-Seguin and the Rotterdam Philharmonic Orchestra. I must first comment on the quality of the orchestral tone: rough and coarse under the guiding hand of Gergiev, this fine orchestra has improved mightily through the years, and now plays with aching sensitivity, especially in softer, more delicate passages. Nezet-Seguin has indeed inspired all to new heights, including his soloist. The Beethoven has great depth of feeling, while the Korngold finally sounds like the major work it is. "Owned" by its dedicatee, Heifetz, for decades (his was the only recording available in rather cramped mono sound), lately it has entered the repertoire and is now being recorded and performed regularly. This is an outstanding release. Five enthusiastic stars! 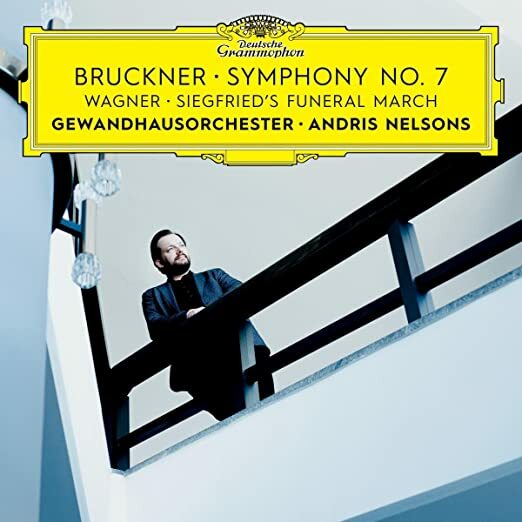 Andris Nelsons, in his newly-appointed position as at the head of the Leipzig Gewandhausorchester has been recording the mature Bruckner Symphonies in CD releases recently. This Bruckner VII is IMHO the best of them all so far. It's a truly beautiful and moving performance, with solid brass and sensitive playing from the entire orchestra. Nelsons's sense of the architecture of this great symphony rivals Bruno Walter and Klemperer, and it's in superior sound. The delicacy of the strings will melt your heart, as will the warm and solid brass, along with true finesse from some of the finest wind players in the classical world (I'm thinking here of their Mendelssohn with Masur). Nelson's authority in this repertoire is unquestioned, and this disc (which includes a dollop of Wagner as a bonus) goes on my shelf next to the best performances of Bruckner from previous generations. Five enthusiastic stars! In my earlier review of Giulini's Bruckner VIII w/Vienna, I found no fault and praised the recording with five stars. This recording of VII sounds like a different conductor is in charge. In the first movement, Giulini sounds fine until he suddenly accelerates in the finale, surprising my ears, which robs the music of its required weight, leaving this mighty climax feeling shallow and disappointing. The famous slow movement is distorted in the opposite direction and is played too slowly, letting the musical tension just drop out, leaving the music flaccid and stretched too thin. The great Vienna Philharmonic try bravely to hold themselves together, sounding tentative, but they can't quite do it. The other movements sound passably good, but after such disappointments, this recording simply didn't work for me. Three & 1/2 stars, and it's definitely not the orchestra's fault here. 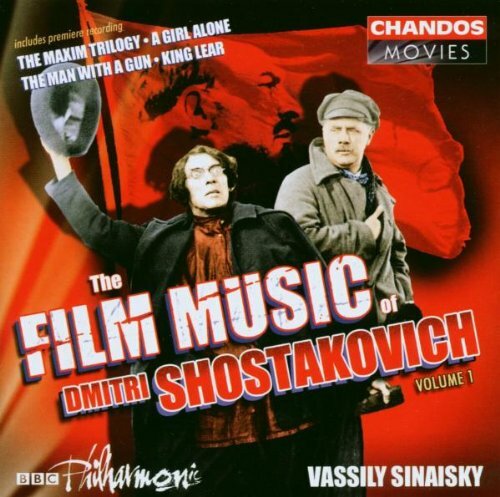 This fine disc of rarely performed film music by Shostakovich gives us tantalizing tidbits and odds and ends from "the Man with a Gun," "A Girl Alone," and "King Lear." These are according to the liner notes, World Premiere Recordings, along with Fragments from the music to the Maxim Trilogy, Op. 90a, arranged by Lev Atovmyan. This 2002 disc is new to my ears, and thus exciting to explore. The playing by the BBC orchestra led by Vassily Sinaisky is crisp and clean, with no exception. Shostakovich is no less inventive in his film music than Copland was in his (The Red Pony comes to mind). I would recommend this rare music both to Shostakovich scholars and to general listeners, as there is much to enjoy here. Four and 1/2 stars. I've always found it interesting how often very important Soviet composers also wrote for film. Do you suppose they were expected to do this by the state for films which had propagandistic value? One of the British TV networks used this as theme music for the series "Reilly, Ace of Spies." When Shostakovich's music was condemned and banned by Stalin's henchman Zhdanov, composing film scores was the only work he could get. Something like that happened to Schnittke too, and doubtless others as well. You mean this, I'm sure John. Yes, I've had that set for years, and have enjoyed the series tremendously. The BBC also used Shostakovich (the haunting slow movement of his 8th String Quartet) for another spy series based on John Le Carre's novel, Tinker, Tailor, Soldier, Spy. Both series are worth exploring, IMHO. Yes, that's it. 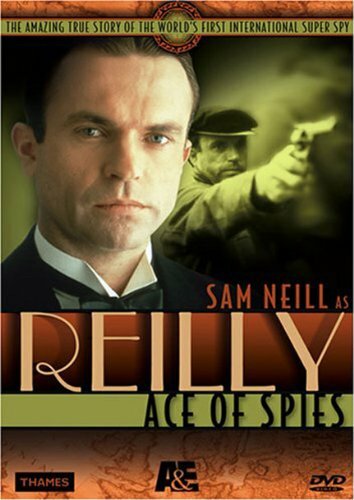 Apparently there really was a British spy named Reilly inside the Soviet Union; don't know how historically accurate the TV series was, but it certainly was entertaining. The BBC made outstanding TV serials of John Le Carré's "Tinker Tailor Soldier Spy" and "Smiley's People" with Alec Guinness as George Smiley and perfect casting from top to bottom. Le Carré writes that he had intended a long series of Smiley novels but after "Tinker Tailor" and "The Honorable Schoolboy" he decided to bring the series to an end. Both series, complete, are now on YouTube. I don't remember that either series had any music by Shostakovich. "Tinker Tailor" had orchestral music for the opening and closing credits, some incidental music for transitions, and a "Nunc Dimittis" for boy soprano by Geoffrey Burgon. The music for "Smiley's People" was by Patrick Gowers, in the style of Russian Orthodox chant but for solo trumpet and orchestra. Have I missed anything, or are you maybe thinking of something else. When composers were on the outs with the Stalinists, film work was often the only work they could get. Absolute music of any kind submitted to the Soviet musical publishers would be ignored. For the Soviet system, film work had an advantage--with people who were part of the film production process always there to check on the political correctness of everyone at every stage of production, little could go wrong, from the system's perspective. This afternoon, I received a package from Albany Music, which now provides shipping services for Berkshire Record Outlet. Its 5 CDs of music by Sergei Taneyev (1856-1915), which exactly doubles the size of my Taneyev collection. 1. A NAXOS CD featuring Ivan Peshkov, violin, and Olga Solovieva, piano in Taneyev music for those two instruments: Sonata for Violin & Piano (1911) (21'20), Theme and Variations in C Major (1874), Quadrille (1879) (7'55), Prelude and Fugue in G Sharp Minor, Op. 29 (1910 (6'35), and 9 other works, all of which last 4'46 apiece or less. 2. A VISTA VERA CD of two chamber works. Tr. 1-4. Trio for piano, violin, & cello in D Major, Op. 22 (38'40) |Tr. 5-7. Piano Quartet in E Major, Op. 20 (38'03). A total of 4 different ensembles are featured in the performances of these two works, all of them prize-winners in the First Sergei Taneyev All-Russian chamber music open competition, in Kaluga, 1996. Tr. 1 (9'12) is performed by the Roslavets Trio. Tr. 2 (12'09) by the Art-Trio, Tr. 3-4 (17'12) by the Taneyev Trio, and Tr. 5-7 by the Anima Quartet. 3. A Marco Polo CD. Tr. 1-4. Symphony 4 in C Minor, Op. 12 (39'51) |Tr. 5-7. Symphony 2 in B Flat Minor (31'31)--Stephen Gunzenhauser, cond., Polish State Philharmonic Orch, Katowice. Rec. 1988. 4-5. A 2 CD Melodiya set with Evgeny Svetlanov conducting the USSR State Academic Symphony Orch. and Choir (in CD 1) CD1--|Tr. 1-3. John Of Damascus, cantata for chorus & orch, Op. 1 (after poem by Aleksey Tolstoy) (25'20) |Tr. 4-7. Symphony 4 in C Minor, Op. 12 (41'10) CD2--|Tr. 1-5. Concert suite for violin & orch. in G Minor, Op. 28 (44'35)--Andrei Korsakov, violin |Tr. 6. Temple of Apollo at Delphi, entr'acte before Act III, Scene 2 of the musical trilogy Oresteia based on the tragedy by Aeschylus (5'56). The packaging of this last set is one of those trifold thingies. When it is opened up, one sees CDs at each end, and in the middle is a little pocket in which the accompanying booklet is housed. Its easy to remove it and to replace it. The booklet itself is in Russian (Cyrillic alphabet), French, and English. I presume this is because these are the three western languages that are official United Nations languages, although movement and tempo markings are in the traditional Italian. All in all, pretty decent packaging. Aida Garifullina is the real deal. In this, her debut album, she soars in mostly Russian arias for coloratura soprano, arias and songs from Rimsky-Korsakov, Tchaikovsky and Rachmanninoff, along with several folk melodies arranged for the album. My one complaint is that her inexperienced conductor, Cornelius Meister, doesn't understand Lakme's Bell Song, leading the showpiece aria too slowly even for Garifullina's long line, and she has to take extra breaths, having some awkward moments. That aside, this is a superb and original album of mostly Russian music, which leads me to wonder: why hasn't someone done this before? The only piece missing from this fine recital is Marfa's Mad Scene from Rimsky-Korsakov's The Tsar's Bride, which would have been ideal to show off Garifullina's long line. The ORF Radio Symphonyorchester Wien play with much beauty in what must have been unfamiliar repertoire to them. A star is born! Five enthusiastic stars! 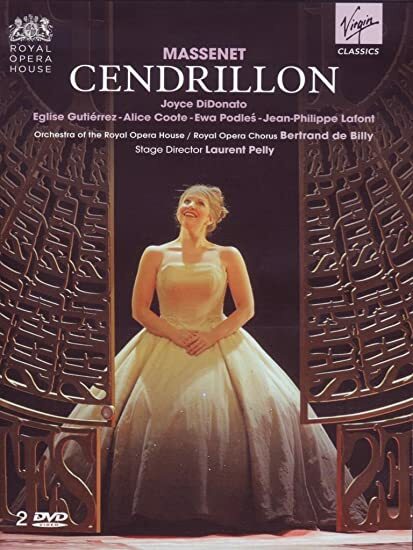 Massenet's Cendrillon has enjoyed few productions over the years, probably because like Puccini's Fanciulla del west, it is through-composed, and therefore not well-known for its arias and scenes. It also takes great imagination to bring it off as a theater piece, and great casting to boot. Both attributes are found here in this recent (2011) production from Covent Garden, featuring star casting: Joyce DiDonato as Cendrillon, Eva Podles as the outlandish wicked stepmother, and the stunning Eglise Gutierrez as the coloratura Fairy Godmother. With magnificent conducting by Bertrand de Billy (who specializes in obscure French opera: he started his career by sponsoring a series of concert versions here in NY to much acclaim), and hysterical costuming coupled with very original set design and very original staging, this DVD is, IMHO, a huge success! It's a very special moment in opera and has now been brought to the MET I'm told, so if you're not in London or NYC and want to experience this vastly underrated work, buy this surprisingly effective DVD, then get the CD set led by Julius Rudel with Fredericka von Stade from the 1980's for your car. A triumph, then. Five enthusiastic stars! This is a fascinating release. The voices are smaller than I'm used to in this work (Think Richard Tucker singing Radames for Toscanini in 1949), with Joyce DiDonato leading the cast of well-balanced voices. It's a conception of the work that I'm not used to (vs. singers like Jessye Norman & Jon Vickers or Ben Heppner), yet, after becoming accustomed to the less heroic sounds, it works for me. 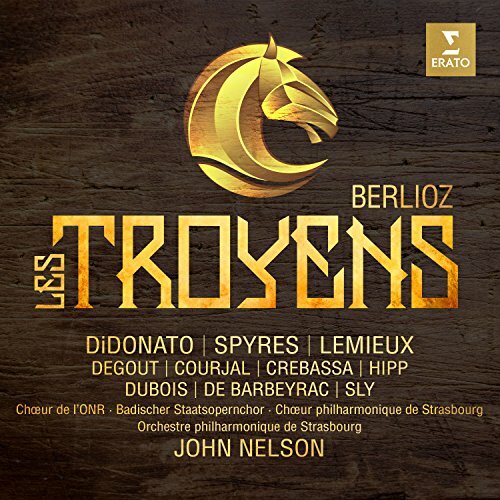 The conductor who put this version together (and I'm impressed it's a live recording from Strasbourg), John Nelson, is truly inspirational, with passion and sensitivity to spare in his music-making. This may not be for everyone, but I recommend you give it a try. DiDonato as the star attraction is quite stunning: her sense of the drama lifted me out of my chair. The role may be a stretch for her, but she manages superbly without strain. Five well-deserved stars, especially for the thinking that put this cast together. There have been many recordings of Prokofiev's War Sonatas since Richter brought them to our attention 60 years ago, but this one is a standout. 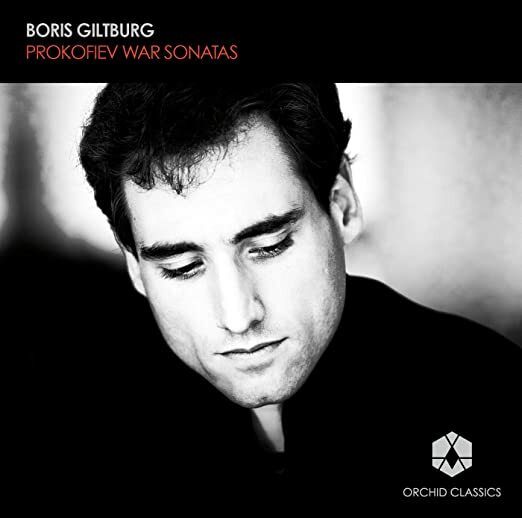 Boris Giltburg is a pianist I've been following since his debut recital disc on EMI (now sadly deleted), a disc that included Prokofiev's Sonata VIII. In the meanwhile, this latest recording of the same piece shows definitively that Giltburg has not grown bored with it, in fact this new reading has even more depth and maturity, which is also demonstrated in his interpretation of VI & VII. Highly recommended as a companion to Richter's definitive playing from the 1960's, Giltburg is a pianist to make one sit up and take notice. Five stars. 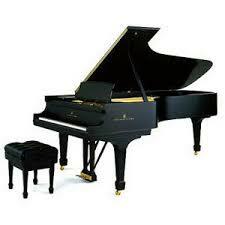 Have just ordered the boxed set "The Complete Chopin" by Rubinstein, from Amazon. $A48.00!! I ordered it on the very last day we'll be able to buy from Amazon US or UK as taxes have now been imposed by our government on online purchases under $1,000 and we can only buy from the smaller Amazon Australia. I'm going to have to hit people. Or have my son talk to his boss. In fact, I voiced my complaint when I saw him recently at my son's wedding. Not that it will make a single bit of difference. Rubinstein's Chopin is his best repertoire, and it deserves a place in your library. Congratulations! As for the tax thing, our own Supreme Court has just recently decided that consumers must pay state sales taxes on internet purchases (according to where they live) whether the seller has a store in their state or not. Long live Big Brother! Martyn Brabbins is a British conductor that has so far flown under my radar. The above new release with the stalwart BBC Symphony Orchestra whets my appetite for more of his work. 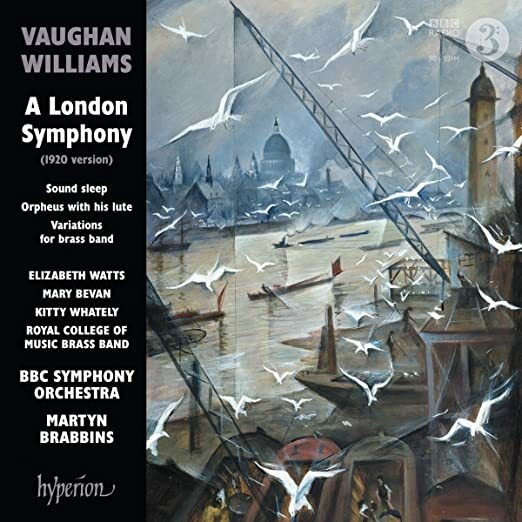 Ralph Vaughan-Williams wrote his London Symphony (his second) in 1911-1913, but revised it in the first published edition in 1920, just after the end of WWI, and its energy and optimism come through solidly in Brabbins's energetic reading. The BBC players sound confident and comfortable with Brabbins's tempo choices, not forgetting the pathos in the second movement. Brabbins adds on a few interesting bonus choices to this CD, two songs (with Elizabeth Watts, Mary Bevan and Kitty Whately), as well as the rarely heard late Variations for brass band written in 1957, here played to perfection by the Royal College of Music Brass Band. All-in-all, a highly successful disc then. Five stars. 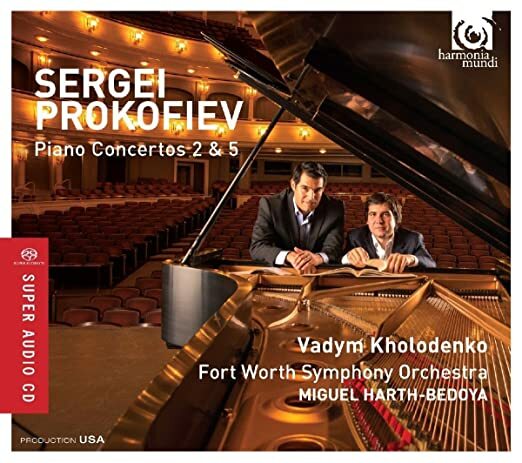 Vadym Kholodenko, a Van Cliburn winner, partners here with the Fort Worth Symphony in what he hopes to be the first of two discs surveying the Prokofiev piano concerti, here featuring II & V. Kholodenko's prodigious talent is absolutely right for this repertoire, with technique to burn, he makes these challenging works sound easy, effortlessly navigating even the most difficult passages. Conductor Miguel Harth-Bedoya sets exactly the right tempi, with appropriate flourishes and balances the orchestra quite nicely. Looking forward to other XXth century repertoire from this technically brilliant pianist (Bartok, anyone?)! Five stars. Danil Trifonov's latest release is a mixed bag to these ears. This DGG twofer features re-orchestrations of Chopin's two piano concerti by pianist/conductor Mikhail Pletnev, which, IMHO, sound bloated and much too slow in spots to convey the sparkle and energy of youth embedded in these works. If you like your Chopin heavy and Russianized, you'll like these. Not my cuppa. OTOH, the solo works are played with sensitivity and depth, including a few curiosities paying homage to Chopin by Barber, Grieg and Mompou. 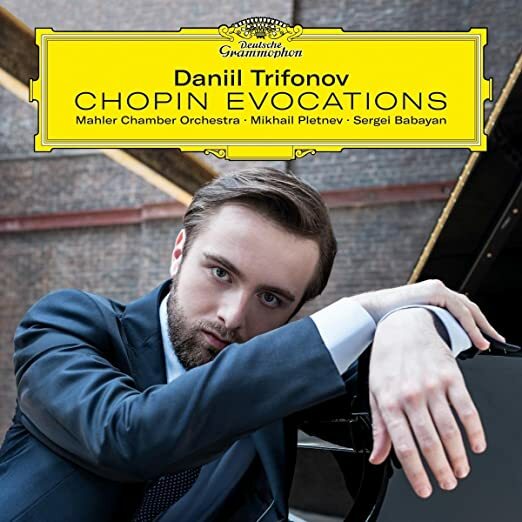 Trifonov's mentors include Pletnev and Serge Babayan, which explains the origin of this recording. Three and 1/2 stars. 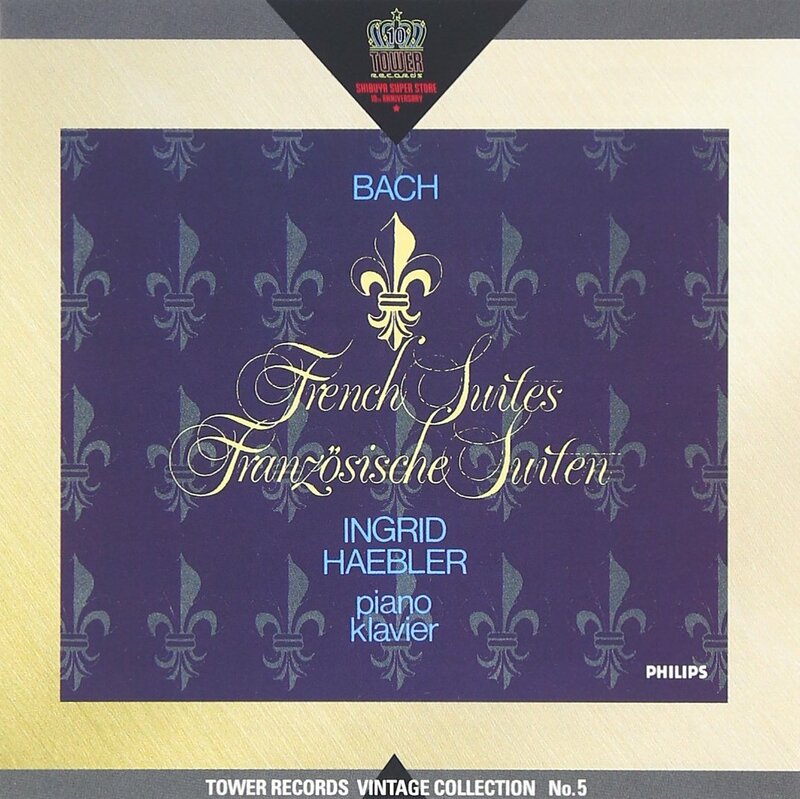 I've enjoyed Ms. Haebler's recordings of Mozart, Schubert, Chopin (her recording of the Nocturnes for Vox is one of the best I've heard, never issued on CD as far as I can tell) and J.C. Bach and was delighted to find this re-issue of J.S. Bach at Japanese Amazon. The recording dates from 1979. Her playing here is warm in tone and well articulated. Very satisfying. My HUGE boxed set of The Complete Chopin by Rubinstein has just arrived. At the moment going through the complete Mazurkas with the score. Feels like one leg is shorter than the other after listening to a few of them with their syncopations and dotted rhythms!! 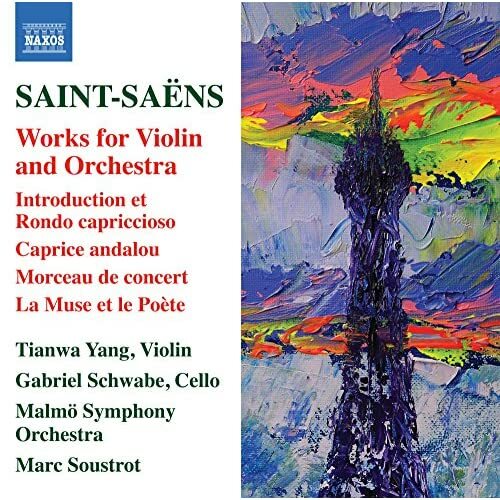 Violinist Tianwa Yang is a star in this delightful disc of Saint-Saens rarities for violin and orchestra on the Naxos label. Marc Soustrut is her first-rate conductor/partner, leading the excellent Malmo Symphony Orchestra. Thank to Naxos, we have here a superb collection of Saint-Saens's unknown shorter compositions featuring the violin that require the utmost in virtuosity and finesse from both conductor and soloist, who treat this music with sincere respect. Gabriel Schwabe is the sensitive cellist where required, and his light tone complements the music admirably. Ms. Yang has recorded also two fine discs of Sarasate's music, which I highly recommend as accompaniment to this one. Five stars. Martyn Brabbins is a British conductor that has so far flown under my radar. He also recorded the best, by far, recording of Havegal Brian's Gothic Symphony. You might want to take a look at that. This past year or so I've been slowly bringing to completion my library of the seventies' Time-Life Great Men of Music series. My mother subscribed to this for me up until the time I moved away to college, so my collection stopped at the Chopin volume. So, I've acquired, mainly thru the ebay and discogs outlets, the LP sets of Bartok, Sibelius, Dvorak, Mahler, Bruckner, Vivaldi and Shostakovich. I'm trying to listen to them, and not just let them rest as a (near) complete library set. The series was drawn from RCA's great stereo archives of the fifties and sixties. 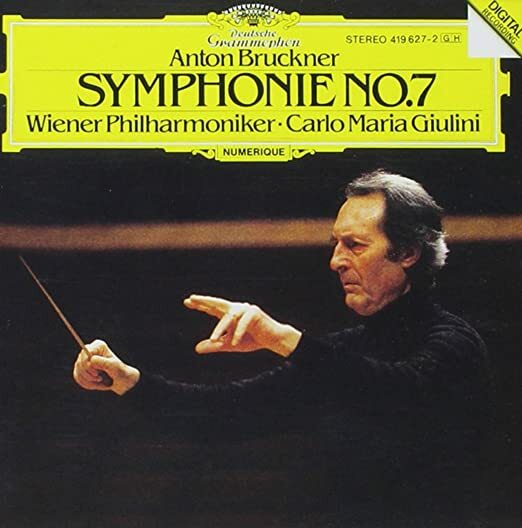 Time-Life needed licensing from London-Decca for the Bruckner set conducted by Solti. Sabine Deveilhe is a superb and intellectually curious singer/musician, whose previous album on Mozart arias received a glowing review in these pages from yours truly. 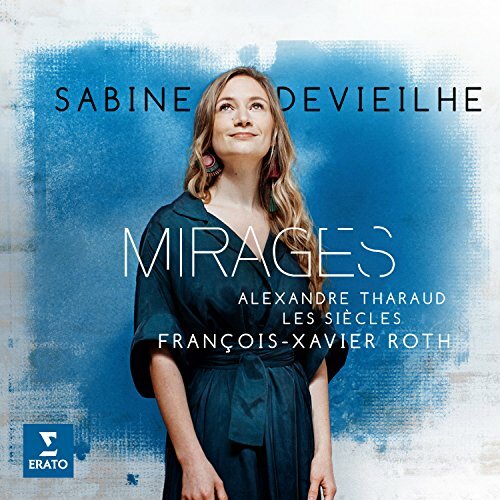 This, her latest album of French works, some obscure and some more well-known (Lakme) capture her pure silvery ton to perfection, ably accompanied by Francois-Xavier Roth and Les Siecles, along with the scintillating Alexandre Theraud on piano here and there. The repertoire ranges from Thomas's Hamlet to Delage's 4 Poemes Hindous, and all concerned make seriously atmospheric music that this Francophile admires deeply. This is a very satisfying disc, with great attention to sophisticated detail. Five stars! Florent Schmitt is one of many unrecognized XXth century composers who wrote tonal music while all the interesting noise was going on based on tone rows. Schmitt's music has experienced a renaissance thanks to recordings, and this one, the premiere on disc of his Second Symphony, should pique the interest of XXth century music-lovers. Schmitt was unabashedly tonal, while, like Bartok, sounding definitely modern. His two Suites from "Antoine et Cleopatre" explore orchestral colors that intrigue the ear, while his last Symphony No. 2 in its premiere recording bears repeated listening. 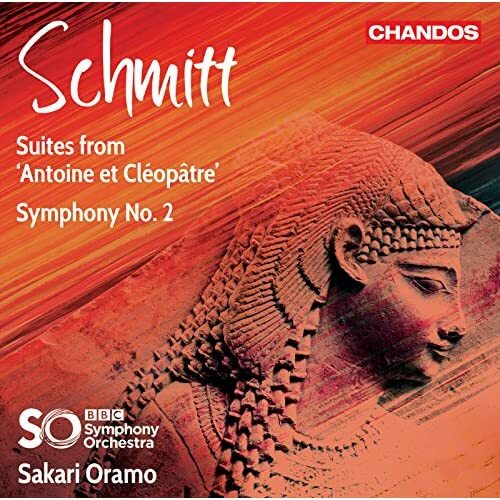 Amazon's reviewers go into more detail than I have space for here, so I recommend that you read them before buying this exquisite disc, with the BBC Symphony Orchestra let by its new director, Sakari Oramo. Five stars! Lou Harrison's Piano Concerto, New World cd, and the string quartet versions of Mozart's PC's 11,12,13,EMI Classics cd. As yoiu can see, I have taken a hiatus from listening to music. So, what else did I do? Why, I ordered more CDs, from Berkshire Record outlet, which arrived on my doorstep yesterday.They represent the work of two conductors--Bruno Walter and George Szell. One of the two Bruno Walter issues is a 3 CD Memories Reverence set of performances of the Haydn Symphonies 86, 88, 92, 96, 100, & 102 with 4 orchestras ranging from 1937 to 1955. The other Bruno Walter issue is a single CD of a single live performance of the Brahms German Requiem with Irmgard Seefried, George London and NYPO from 16 DEC 1954. It may seem perverse to be performing a major work of Brahms on Beethoven's birthday, but here you have it! 1) Wagner: Tannhauser--Metropolitan OIpera Orchestra & Choirus from 9 JAN 1954 with Margaret Harshaw, Astrid Varnay, Ramon Vinay, George London, Jerome Hines, Brian Sullivan, Clifford Harvuot, Paul Franke, Norman Scott, and Roberta Peters on a 3 CD Golden Melodram set. 2) Mozart: Die Entfuhrung aus dem Serail with the Wiener Philharmoniker @ the Salzburg Festival 25 JUL 1956 on a 2 CD live performance set from Golden Melodram with Hansgeorg Laubenthal, Erika Koth, Lisa Otto, Rudolf Schock, Murray Dickie, & Kurt Bohme. 3) An Archipel CD with the NDR Sinfonieorchester in Hamburg 25 MAY 1959 of the Mozart Symphony 40 and the Brahms Symphony 4. 4) And finally, a CD with the Cologne RSO from a 1958 broadcast of 4 works: Boris Blacher's Music for Cleveland, Op. 53 (8'43), Mozart's Piano Concerto 27 with Robert Casadesus (28'07), Brahms Symphony 2 (36'46), and Igor Stravinsky's Fireworks, Fantasy for Orchestra (3'34). I absolutely adore her, too. Have both her solo CDs and am impatiently waiting for her recital at the Carnegie Hall early next year. She really stands out even among the very impressive crop of today's French singers, i.e. Piau, Gens, Delunsch, Deshaye, Karthauser, Petibon, etc. 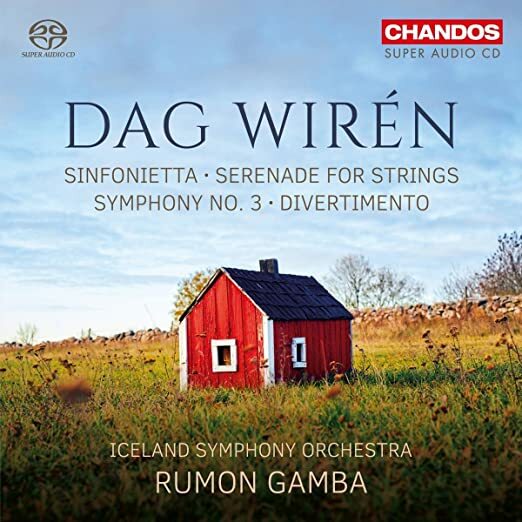 The Iceland Symphony Orchestra has matured quite nicely over the past decade and a half, and in this recording of rare repertoire by composer Dag Wiren they do quite nicely under the baton of conductor Rumon Gamba. The recording includes, besides a rather tepid rendition of Wiren's well-known Serenade for Strings, his Sinfonietta, Symphony III, and the Divertimento, the latter written as late as 1957. Don't be put off by that date, however, all the music on this disc is quite tuneful and inventive, suitable for less adventurous ears. For those who are curious about what this composer has written besides his bucolic Serenade for Strings, this is the disc to have. Not great music then, but worth a listen. Four stars. Two boxes of CDs magically arrived on my doorstep today, Monday, 6 AUG 2018. One box is from Berkshire Record Outlet and consists of 5 CDs. The first 3 are separate CDs, not in a box, but parts of a series, The African American Symphonic Series, Volumes 1-3 on Cedille Reocrds featuring Paul Freeman conducting the Chicago Sinfonietta. Cedille Records is owned by James Ginsburg, the only record producer in the world whose mother is on the Supreme Court. Cd 1- Samuel Coleridge-Taylor (1875-1912): Tr. 1. Danse Negre from African Suite (1898) (6'14) Tr. 2-5. Petite Suit de Concert (1910) (10'02) |Tr. 6-8. Fela Sowande (1907-87): Africa Suite (3 selections) (10'02) |Tr. 9-12. William Grant Still (1895-1978): Symphony 1 "Afro-American" (1930) (21'10) TT: 51'26. Cd 2---Ulysses Kay (1917-95): Tr. 1. Overture to Thather Set (1968) (4'28) |George Walker (b. 1922): Tr. 2. Lyric for Strings (1941) (5'17) |Roque Cordero (1917-2008): Tr. 3-10, Eight Miniatures for Small Orchestra (1948) (11'47) |Adolphus Hailstork (b. 1941) An American Port of Call (1985) (8'32) |Hale Smith (1925-2009): Ritual and Incantations (1974) (12'45) |Hailstork: Epitaph for a Man who Dreamed (1979) (&'37): In Memoriam: Dr. Martin Luter King, Jr. TT: 51'02. Cd 3--Michael Abels (b. 1962): Tr. 1. Global Warming (1990) (8'18) |Tr. 2-4. David Baker (1931-2016): Cello Concerto (1975) (19'56), Katinka Kleijn, cello |Tr. 5. William Banfield (b. 1961): Essay for Orchestra (1994) (10'33) |Tr. 6-9. Colderidge-Taylor Perkinson (1932-2004); Generations: Sinfonietta 2 for Strings (1996) (19'31). A note in the liner notes booklet informs us that, believe it or not, this CD is made possible by a grant from the Sara Lee Foundation. Cd 4--Menuhin conducts Prokofiev |Tr. 1. Peter and the Wolf (27'45)--Christopher Lee, Narrator |Tr. 2-5. Symphony 1 in D Major "Classical" (14'12) |Tr. 6-8. Violin Concerrto 1 in D Major (21'08)--Hu Kun, violin. English String Orchestra. A NIMBUS CD. TT: 63'21. Cd 5--Modest Mussorgsky (1839-81): Tr. 1-16. Pictures at an Exhibition (1874) |Tr. 17-23. The Nursery, a song cycle (1870) |Tr. 24. Night on Bald Mountain, fantasy for orchestra (1867)--Vera Chekanova, soprano (Tr. 17-23), Divertissement Chamber Orchestra, Ilya Ioff, Artistic Director. The arrangement of Pictures is a new one by Ilya Ioff for string orchestra. A Melodiya CD. The other box I got in the mail is the 23 CD set of all Leopold Stokowski's Phase 4 recordings. I am not going to list all the contents. That is available elsewhere. Many of these CDs are guilty pleasures, especially the recording of the Tchaikovsky 5th. I have some of these recordings on LP, and that Tchaikovsky 5th is an especially guilty pleasure. He takes unconscionable liberties with the last movement, extending the music to the point where the tension is almost unbearable. Repetitive, gauche, but also magnificent! 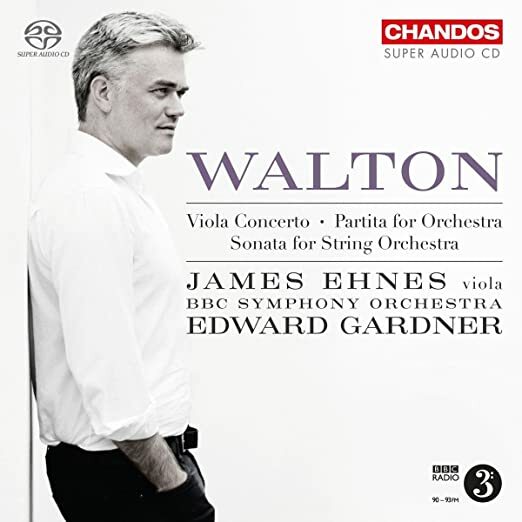 Edward Gardner has recently taken on the task of recording William Walton's music for Chandos with the BBC Symphony Orchestra, and this is the third disc in a fine cycle. Included are two rarely done works, the Partita for Orchestra (1957) and one of Walton's last works, the Sonata for String Orchestra (1972). The album opens with the Viola Concerto, with violinist James Ehnes taking up the viola, sensitively played and recorded. This is a fine album indeed, especially so for this anglophile, and comes highly recommended. In fact, I recommend the entire series: Gardner is a serious conductor, who well understands and masters the difficulties of Walton's music. Five stars. Stokowski loved to experiment with audio technology and he's the one name conductor you'd expect to record in Decca/London's disreputable Phase 4 series. But 23 CDs' worth? Well, it was an excuse to rerecord his repertory all over again for the nth time. I never heard a Phase 4 record, we didn't play them on WHRB and I certainly wasn't going to buy any, but from what I read, their sound was as unconscionable as you say Stokey's Phase 4 Tchai 5 is. I have those CDs from a previous reissue, JohnF, and I must say the master tapes are quite natural sounding. Guilty pleasures indeed! I remember the LPs, and their processed and compressed sound was not to my taste then, nor is it now. I strongly suspect that the original masters were OK, but London, as with their ffrr issues, worked their "magic" in the remastering of the tapes for issue on LP. Stokowski, of course had his own very individual ideas about how the orchestra (London Symphony?) should play, and that was captured very well on the studio masters.